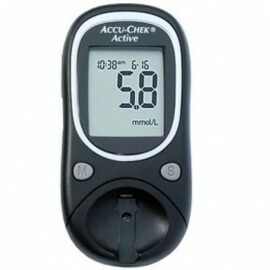 Available in 25 strips Vial. 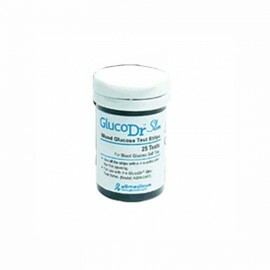 Test strips are compatible on devices GlucoDr. 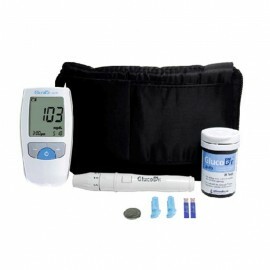 AGM 4000 By conducting material specifications using gold and using techniques Electrochemical measurements made ? 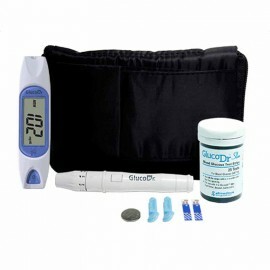 in the ranks of Gluco Dr. most accurate gauge of diabetes. 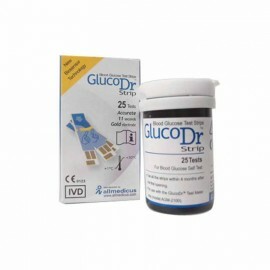 1 pack contains 25 strips Vial. 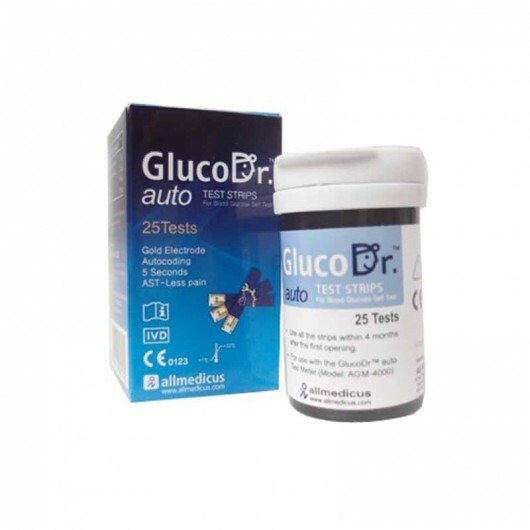 Compatible for use on Auto Blood Glucose Monitor GlucoDr AGM4000.